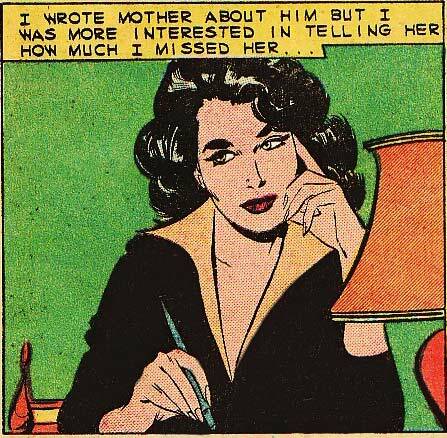 Art by Vince Colletta from the story “Mama’s Little Girl” in JUST MARRIED #10, 1959. Woman writing: Today I…created a universe! Crushed evil! & Conjured greatness! So…another typical Day of Writing! Woman writing: Today I...created a universe! Crushed evil! & Conjured greatness! So...another typical Day of Writing!